Home Studio Essentials For 2018 . This Year's Must Haves For Music Producers. Home/News, Product Reviews, Tutorials/Home Studio Essentials For 2018. A Personal Selection. So you’re about to set up a whole new studio up, and you can’t quite wrap your head around all of the minutiae of the process? Let’s look into it together and consider all of the noteworthy entries on the market. Depending on what aesthetic you’re after, you’ll have to make important decisions about what hardware to use. However, in a digital production era, we need to choose the “brain” of our studio first, namely a DAW. Choosing the right software is crucial for multiple reasons, but the most overlooked perspective is the way our DAW affects our music on a visual and functional level. Probably the best, most versatile option at this particular moment is Live. Ableton Live – One of the most popular options today. A truly amazing software that will cover the needs of most artists, indifferent of the genres and styles they operate in. However, Techno and House artists have a noticeable penchant for it, due to its interface that enforces cyclical arrangements. A solid plus is the ability to play live acts with it, allowing electronic artists to make smooth transitions while playing their own material, instead of DJ sets, thus getting more creative in front of an audience. Max4Live is an add-on that is important to mention when speaking of Ableton , as it allows to program your instruments, as well as MIDI and audio effects. The next step will be finding a good sound source. The monitors are your ears, and there’s nothing worse than not being able to record and mix your track objectively. Thus a pair of good speakers is mandatory. The price range on decent monitors starts at around 400$ per pair. 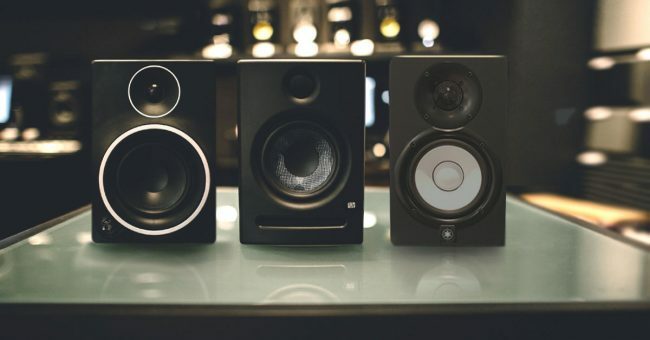 Compared to DAW’s, which you can download a free trial of, and hardware, which you can watch multiple reviews of, monitors are one of the most leap-of-faith-ish purchases you’ll make, so don’t hold your money back on these. Yamaha HS5 – The HS5 is of an optimal size for bedroom producers and professional musicians alike. The Sound is very profound and crisp at the same time. These speakers will deliver optimal performance with tight, punchy bass to room rumbling sub frequencies. They also have an amazing noise reduction technology on board that ensures sound clarity, yet users have reported mobile device interference while using them. KRK V4 S4 WN 4″ – This is a line of speakers that have been designed by the combined effort of over 100 engineers and producers. Besides having a very pleasant casing, the technical specs are impressive as well. The high-frequency tweeter features a kevlar dome and ferrite magnet, both ensuring durability and resistance to damage. The HF driver was designed to have a “comfortable” and non-fatiguing signal, as we all suffer from irritation and tiredness after long-term exposure to high-frequency signals. Genelec 8330A 5″ – The company has been creating some of the most daring technologies since it started back in 1978. The 8330A is an outstanding product if paired with the Genelec SAM technology allow any artist and audio engineer to achieve maximum potential and precision within the recording, mixing and mastering processes. The SAM (Smart Active Monitor) analyses the peculiarities of the surroundings and adjusts the output signal according to them. Thus if you’re moving to another studio or recording environment, you’ll be able to achieve the same output qualities, considering the architectural differences of the room. However, this is not the only reason Genelec are at the forefront of the market. Their monitors deliver impeccably crisp sound with total noise cancellation and dimensional imaging enhancement using the DCW (Directivity Control Waveguide). It is often the case that musicians look to have a more hands-on experience with their drums, which infers that they’ll need a drum machine, besides using samples in the DAW. 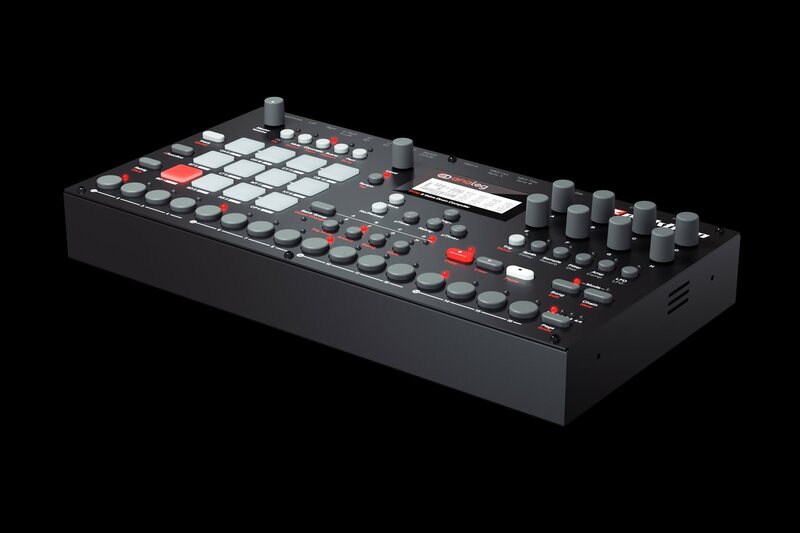 Fortunately, over the last few years, we’ve been blessed with the commercial release of some outstanding drum machines like the Dave Smith’s Tempest and the Elektron Machinedrum SPS1-UW . The Tempest is a formidable drum synth that delivers an exceptional musical experience. Its performance caters to artists that stand on a vast array of musical genres, such as Blawan, Magda, and Radiohead. Tempest features six analog voices hooked to two analog oscillators and two additional digital oscillators. It’s “prepackaged” with an impressive sound bank as well, so you can enjoy tweaking high-quality samples fresh out of the box. The Machinedrum , in its essence, is a neatly polished and refined old- era drum machine. It combines a set of different legendary technologies like the TRX for Roland-specific sounds, EFM that is responsible for FM synthesis, E12 that recreates the E-mu SP-12 sound, and PI for physical modelling of natural acoustic samples like live drums and percussive elements. Last but not least, you’d want to consider a good MIDI signal source, like a controller. The market has been overflowed with numerous options over the years. However, there weren’t any noticeable alterations to the generic concept of a MIDI controller . Going with the most popular choice is the best way to go in this particular field. Some great examples would be the AKAI MPK keyboards and the Roland Edirol PCR Series. They are known for minimal latency and excellent build quality, along with a comfortable layout. 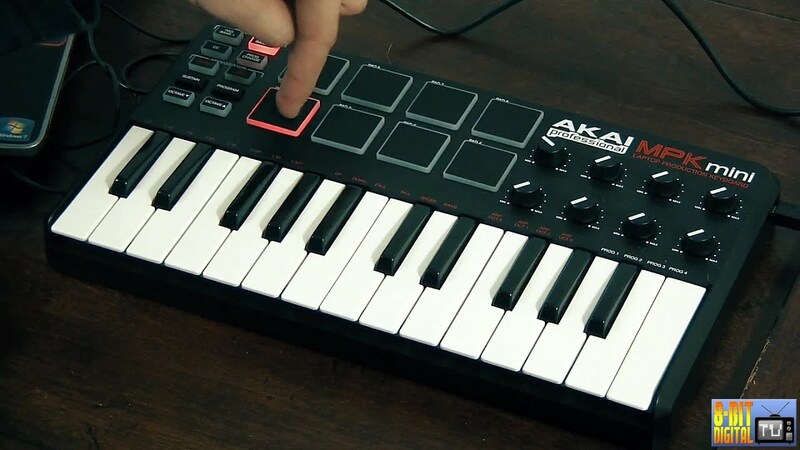 The AKAI MPK’s have a very comfortable and accessible interface, allowing you to map a lot of variables and keeping your eyes away from the screen, thus creating a more hands-on experience. The Roland PCR’s are known for a solid build that will last for many years to come. The PCR has also been spotted in the Radiohead’s touring setups for quite a while. you would choose them based on the number of the ins and outs that they can handle, plus if you’re playing any live instruments or microphones while recording. All in all, tailoring your own musical experience is a very personal and intimate act, hence consider other people’s opinions, but never be afraid to experiment and make your own informed decisions. The crucial aspect of setting up a studio is to make it fit your needs exclusively, and not some reviewers opinionated views. I wish you luck on this path, young Padawan, and may the force be with you.